Last Friday, aerospace company SpaceX announced plans to lay off 10 percent of its workers. This Friday, employees at energy and automotive company Tesla — another venture led by serial entrepreneur Elon Musk — found out that many of them are also losing their jobs. “[W]e unfortunately have no choice but to reduce full-time employee headcount by approximately 7% (we grew by 30% last year, which is more than we can support) and retain only the most critical temps and contractors,” Musk wrote in an email shared companywide. All things considered, it seems likely that employees of Musk’s other venture, the Boring Company, might be dreading next Friday. 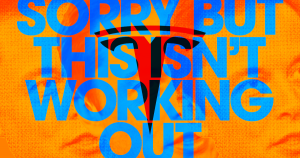 According to Musk, the Tesla layoffs have everything to do with numbers — the CEO dedicated two paragraphs of his email to addressing quarterly financial reports, upcoming delivery deadlines, and product costs for consumers. This focus on the bottom line isn’t surprising, though, given Tesla’s other recent efforts to streamline finances. As for the employees who survive the Tesla layoffs, the road ahead will be “very difficult,” according to Musk. The company needs to increase the production rate of its Model 3, improve its manufacturing engineering, and drop the cost of its products for consumers — all over the next six months and all with 7 percent fewer employees. Still, Musk appears optimistic about Tesla’s future.